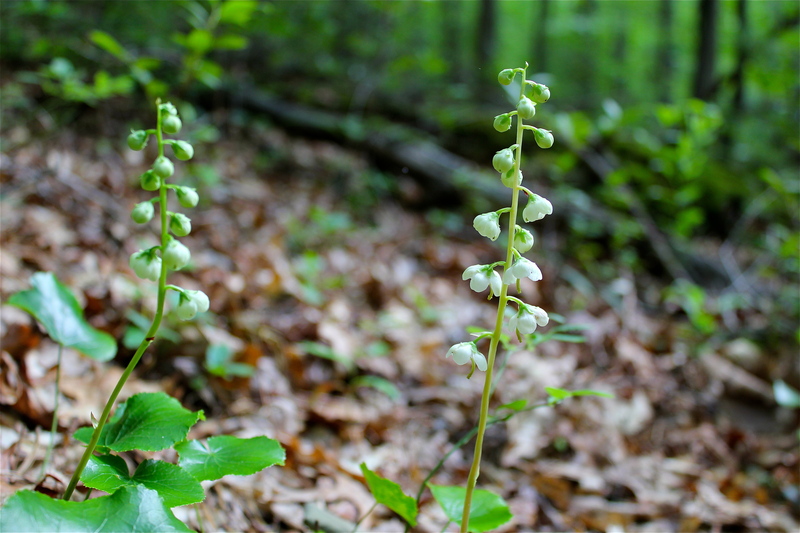 Also flowering in June is another member of the Wintergreen Family: Round-leaved Pyrola. 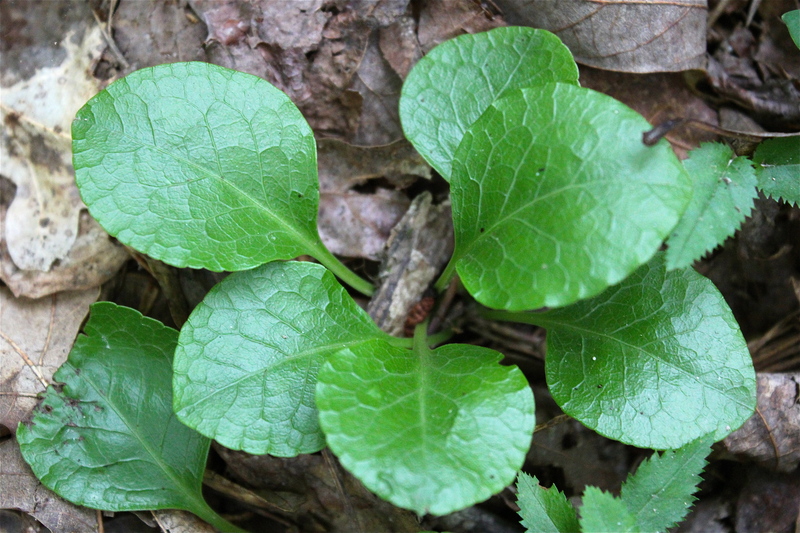 This low-growing, creeping perennial has shiny green leaves arranged in a rosette. 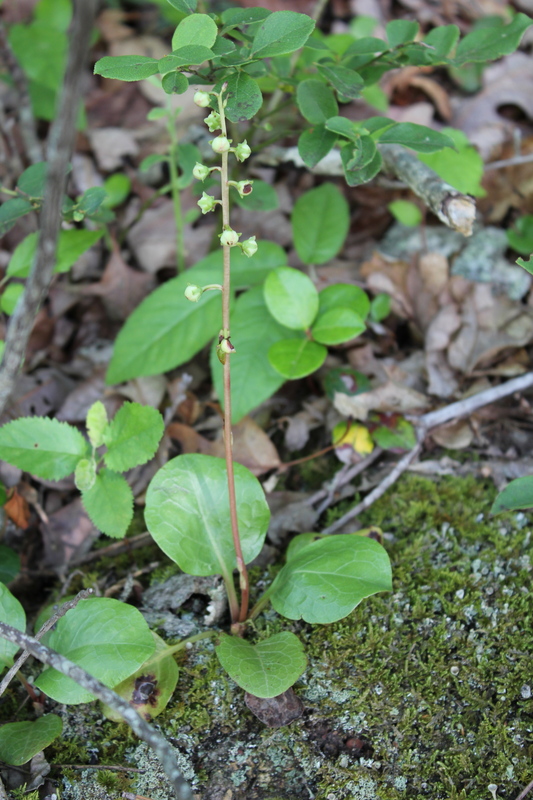 Each leaf is 1 to 2 inches in length, rounded at the tip, and strongly veined. 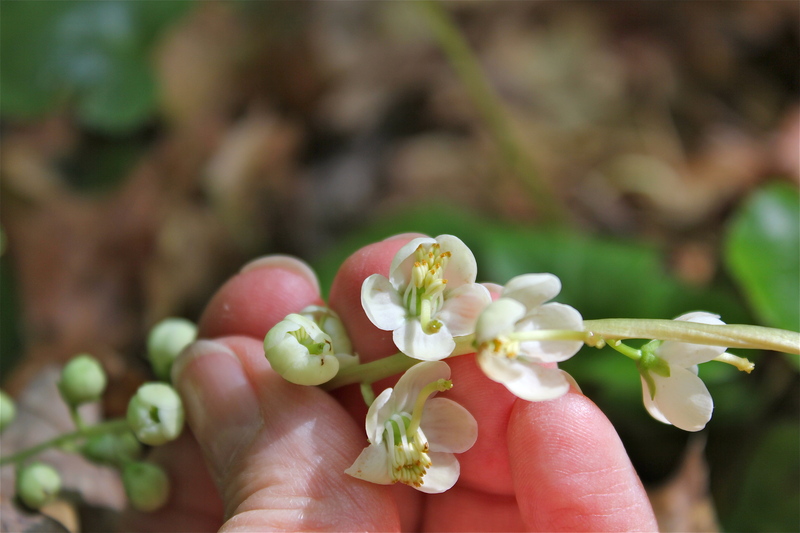 Several blooms are born on a spike (raceme). 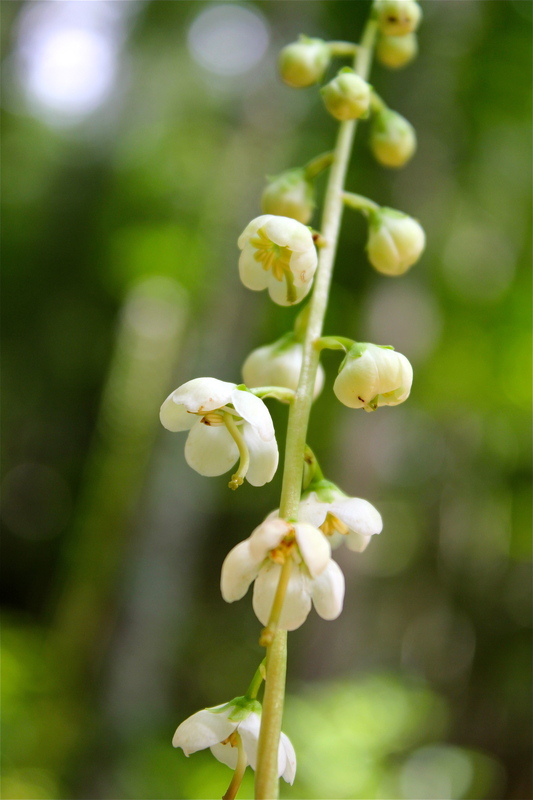 The hanging, white flowers have 5 petals and a mass of yellow to brown stamens grouped tightly under the upper petals. 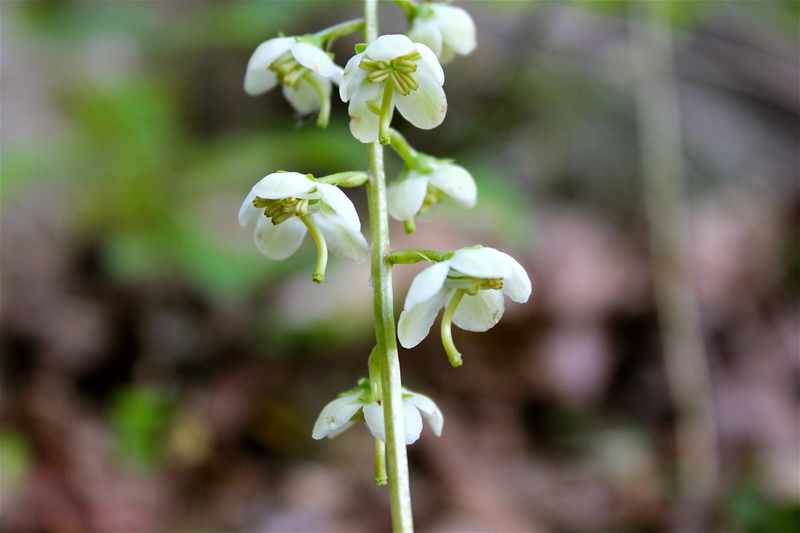 The distinctive pistil is long and curved downward like an elephant’s trunk. 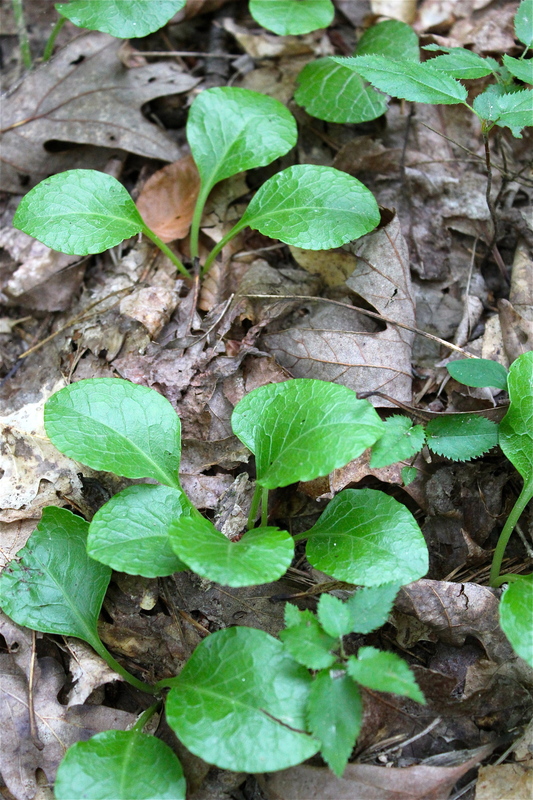 There are several species of wintergreens, but they are all myco-heterotrophs, feeding parasitically on soil fungi to some extent. 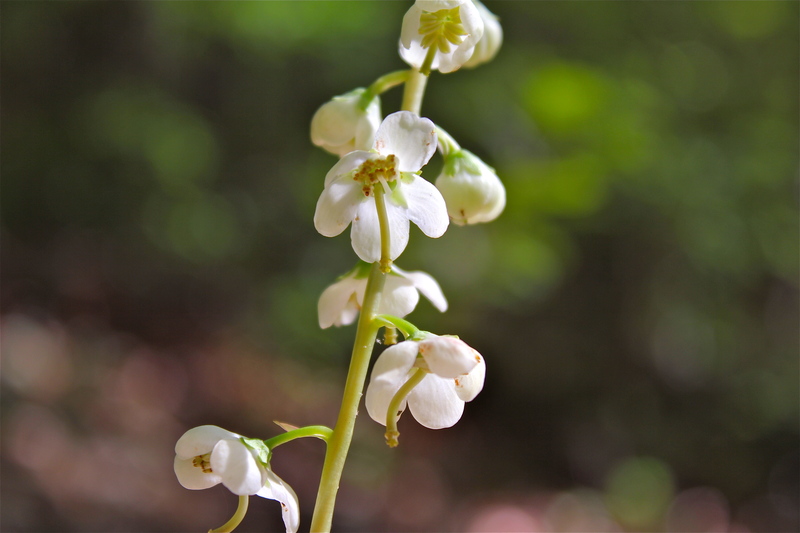 Bloom time for this species is June to August. 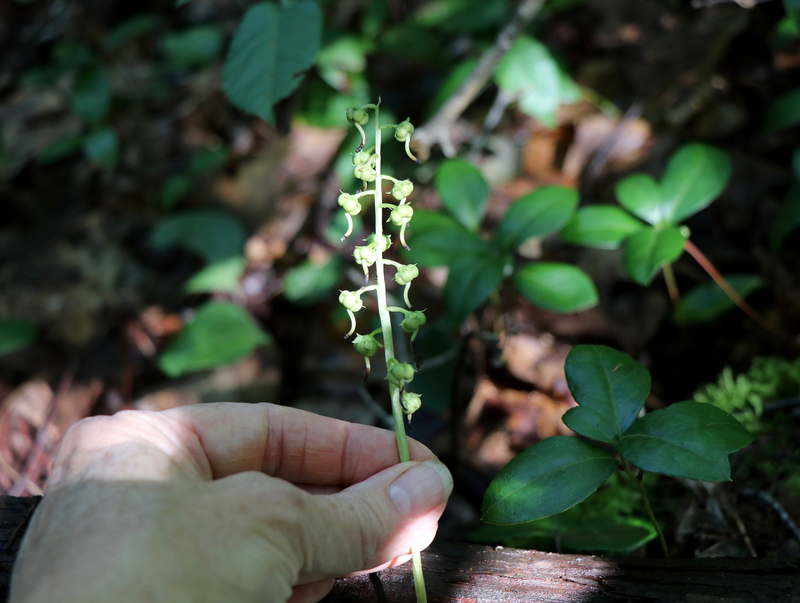 These plants were photographed near Pandapas Pond in Montgomery County, VA.